I’ve said it before, I’ll say it again. It was a tough year. (Dear anyone that has any influence over these things: can 2014 continue an upward trend? Thanks.) I know its a bit early for a year-end retrospective – blame the incessantly grating Christmas creep. Since we last spoke, there have been all sorts of changes around these parts, mostly of the personal variety. I like to think that I’m willing to do a lot for people – to put my time, sweat, love and attention towards a multitasker’s nightmare of shared projects. And as long as those projects continue to give back – via a paycheck, gratitude or otherwise, that works for me. It’s a simple equation, really (isn’t it always?) when those endeavors stop giving back and become more of a source of pain than of fulfillment, then it is time to reevaluate and sometimes move on. Needless to say, when your days are consumed by personal evaluation, your writing gets pretty dull. Seriously – you should see my drafts folder. Let’s just say its been a year of full-on mental and physical decluttering. The first casualty was my writing, but initially, so was my kitchen – enabled by my move to a much more urban location with excellent food aplenty. Obviously neither were great for my health or my wallet, so I eventually made my way back into the kitchen. Then – full disclosure – I hid there for a while. I realized that the kitchen shouldn’t always be a place of refuge. It can and should be a haven from stresses of work, play, and everything in between. But (and this may be a bit of a ‘duh‘ moment for most of you), I find there is something missing when my life is devoid of creativity and collaboration. And, after some navel gazing, I’ve come to accept that I get a lot of fulfillment not just from cooking and preserving but also from this blog. So as I’ve reevaluated my life, I’ve reevaluated this space. Do you ever get a moment to take a step back and really think about how to do something right? I almost never get that chance. Thanks to the talented Cyn at River Dog Prints, ye olde blog has had a lovely reno (so come on and visit snowflakekitchen.com, you RSS readers). The new digs are emblematic of the new reality and I am quite taken with them. I’ve also become more taken with bitters. I tried citrus bitters earlier in the year. They were good, but I found myself having to use a pretty large amount (like close-to-equal parts with the main booze of the drink) to get the flavor I was after. Ready to tinker again, I treated myself to a bottle of Onyx 111 and picked up some gentian root and other herbs from the Penn Herb Company. And though I’ve only had these bitters with one whiskey drink and one spiced rum drink, I am already enamored with them. They’re that little-something-extra-you-can’t-quite-put-your-finger-on that takes your drink over the top. Decorticate the cardamom (apparently that is the correct word!) and then toast the peppercorns, fenugreek, cardamom and coconut over medium-low heat until fragrant. Take care not to burn the pan. Add your toasted spices to a glass jar that has a lid – either a locking jar with a gasket or a mason jar will work well. After scraping, cut the vanilla pods in half so that they completely submerge and can fully infuse the ‘shine. Add the gentian root, vanilla and add Onyx to cover. If you don’t have high-test moonshine to work with, grain alcohol would work just fine. I find that a higher proof alcohol really does make a difference here – spring for the high-test hooch, people. 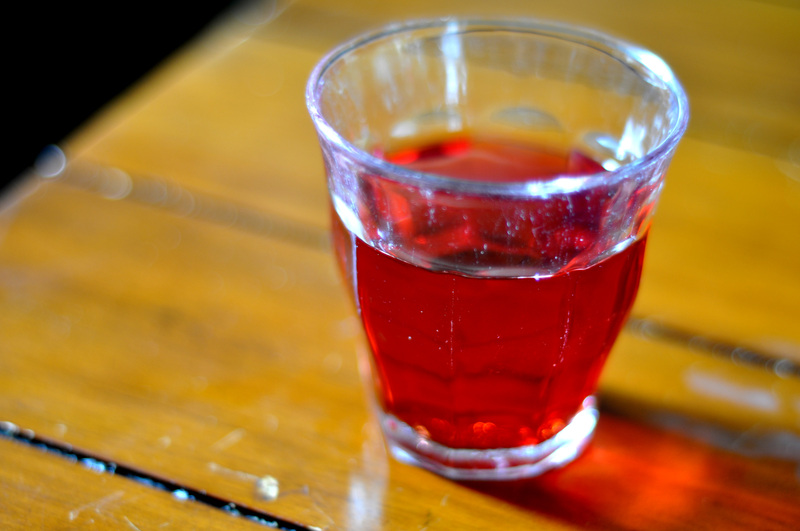 The bitters need to infuse for a while – start tasting after three weeks or so. Once you can taste all of the flavors, strain and add maple syrup to taste – I ended up adding approximately 1/4 cup. Bottle into a smaller jar, or better yet find a vessel with an eyedropper. The coconut makes the bitters taste almost creamy, and the dark maple syrup and fenugreek add an almost malty flavor. I’m sure these are only the latest in a long line of bitters experiments. So make these, tweak to your taste, and invite me over. I’ll bring chutney and cheese and we can catch up. And thank you for sticking around – I am so looking forward to many good things in store for the future. This entry was posted in bitters, cocktails on November 24, 2013 by Kate @ Snowflake Kitchen. Has it really been a month? In my defense, I moved house and home (and jars) since we last spoke. Now I am in the unpacking stage, which is really more difficult and time-consuming than packing: you have to force yourself to get it done, otherwise it can languish for-ev-er. I say this because I’ve lived here for almost a month and I still see boxes of jars in corners. Somehow, my roommate hasn’t asked me to leave yet. In the month span, Connecticut strawberries have come in like a deluge. The heavy rain and generally weird weather made them come in almost all at once. Luckily, a few select orchards have my cell number and can put out the call to round up seconds at a moment’s notice. It’s a win-win – they still get paid for their hard work, and their hard work doesn’t spoil – and I am all too happy to take it off of their hands. So if you are thinking about any sort of jam making – hook up with your local farm and orchard. You’ll be glad you did. I answered one such call two weeks ago, and lo and behold came home with 23 pounds of strawberry seconds that had to be hulled that night or wouldn’t make it 24 hours. The best kind, really, and the only kind I get these days. So I hulled away on the couch (because the dining room table is, ahem, still covered in flats of jars) and then all 23 lbs went in the fridge to macerate. And no, my roommate still did not ask me to leave when I quickly filled 2/3 of the fridge with strawberries, rhubarb and various projects. Miraculous. The true miracle, though is what came out of the waste. I am not a meticulous strawberry huller – especially not when faced with 23 pounds of overripe fruit. Just a paring knife and some repetitive motion, and I will get there. But I’ve taken to throwing the hulls into a jar for later use. Many of the hulls have quite a bit of red on them – like I said, not a meticulous huller – which made for a beautiful infusion. Most of the time I will infuse, then add simple syrup (for a limon- or whatever-cello like cordial) but this time straight strawberries and vodka were perfect. Simple, exceedingly sweet (thanks to the beautifully grown overripe berries from Easy Pickins Orchard, I’m sure) and sips perfectly all by itself. Though occasionally a few bubbles can’t hurt. If you still have strawbs in your neck of the woods – make this! I do always love making something out of nothing, but this idea turned out particularly great. You won’t regret it for a second. You can rinse your berries before hulling, but dont feel like you need to be meticulous here, as you will catch everything at bottling. Pack the hulls to within 1 inch of the top of the jar, before moving onto a second (or third! or fourth!) jar. Pack them medium tight – leave enough room for the vodka to do its thing. Top with vodka and let sit for anywhere from 3 days to 1 week. Swirl each day to circulate the infusion, and start tasting after 3 days. Mine was ready in 4. To bottle, strain through a coffee filter and store at room temperature. If it isn’t sweet enough for you, you of course can add a little simple syrup or soda. I particularly like it with an oaky bourbon and splash of ginger ale. 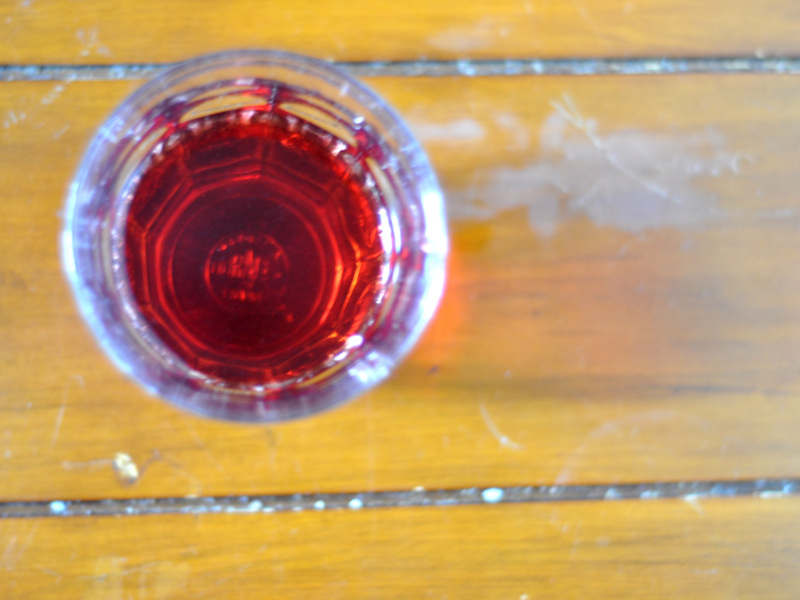 This entry was posted in infusions + syrups, preserving on June 29, 2013 by Kate @ Snowflake Kitchen. I pack my life into a tiny room but have to leave it for three weeks until I can be myself in my own space again. My parents finally get a closing date on their house but then their lease falls through. I finally make some progress on a difficult project at work only to have to rearrange all the deadlines to put out another fire. The new apartment accepts dogs but has a $300 non-refundable pet fee. Saturday I woke up to 43 degrees and driving rain, but left my warm waterproof sneakers packed 90 minutes away. Because who expects fall-like Juneau, Alaska weather at the start of Memorial Day weekend in Connecticut? Argh. This is the part where I usually say that despite the lack of posts, I’ve been cooking great things. Well, folks – that isn’t true this time. The last decent thing I made was made on the fly on my last day at my old house. I’ve told you about that place right? The place where in the spring I can grab ramps outside my door IN MY PAJAMAS if I want – so long as I wear some decent XtraTufs? Man, am I gonna miss that place. I have been so careful with the ramp patch, too. Harvesting only the greens most of the time, with enough bulbs for one small jar of pickles. But this year? After being so careful in my tiny personal patch for the last two years, I found a whole other carpet. Not sure how I missed it before – blindness in the heat of ramp euphoria, perhaps. And though I still took only one jar’s worth for pickles, I made sure to get the fattest ramps there were. Because I hope to come back next year, but who knows? Because I wanted to. Or just because. Of course, I made the decision to make pickles after I had packed away all of my jars. 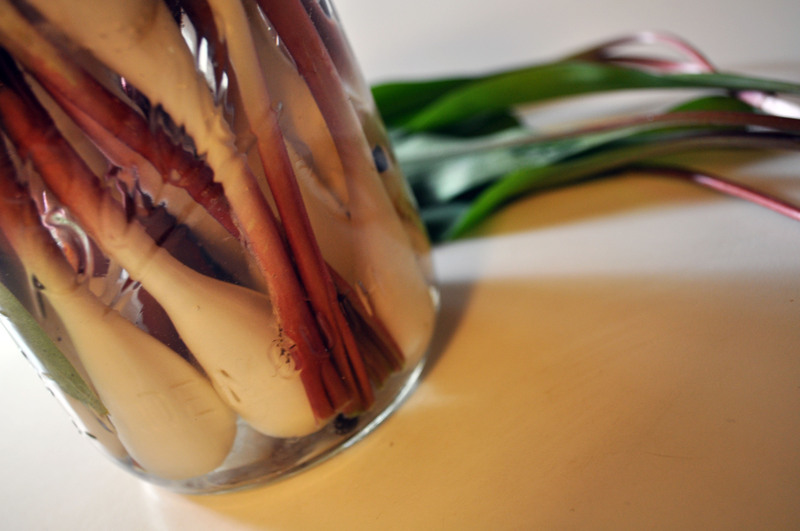 But ever-fleeting ramps are one thing thats always worth digging out a jar. So three steps forward and one step back. This is my life lately. At least I have by ramp pickles in my fridge and compound butter in my freezer, waiting for after June 1st in my new apartment. In a perfect world, leave your butter on the counter, go forage your ramps, prep everything and when you come back, it should be soft enough. If you are like me and keep your butter in the freezer, it might take a bit longer, and you might get a bit impatient – so prep ahead of time. Small firm, but not frozen, chunks can be helped along in a food processor. Which – if you’re going to already get dirty, you might as well mix the whole batch in there. Of course you can just as well make quick use of a bowl, mixing utensil and/or your hands. Like my favorite recipes, this one involves mixing everything together, tasting, and when satisfied, forming into a log/packing into your vessel of choice and freezing until later. The tasting is key here, as is using unsalted butter. The preserved lemons bring plenty of salt to the table for my taste. My 2013 batch of preserved lemons has a nice kick of aleppo pepper, which is really great here, but please use what you have. No preserved lemons? Make them next year, and add salt and chopped lemon rind (but take care to minimize the bitter pith). Use everywhere from searing scallops to melting over the top of a great steak to serving with crusty bread. The best thing about fridge pickles is they take exactly no time to come together. Add your veg in a jar, add your vinegar, salt and spices and top with water. Place in the frige and swirl gently a couple of times over the course of a week, and you have a great accompaniment to cheese, in salad, or finely chopped in place of your usual cukes. They are great sliced thin on top of tacos in place of pickled onions. 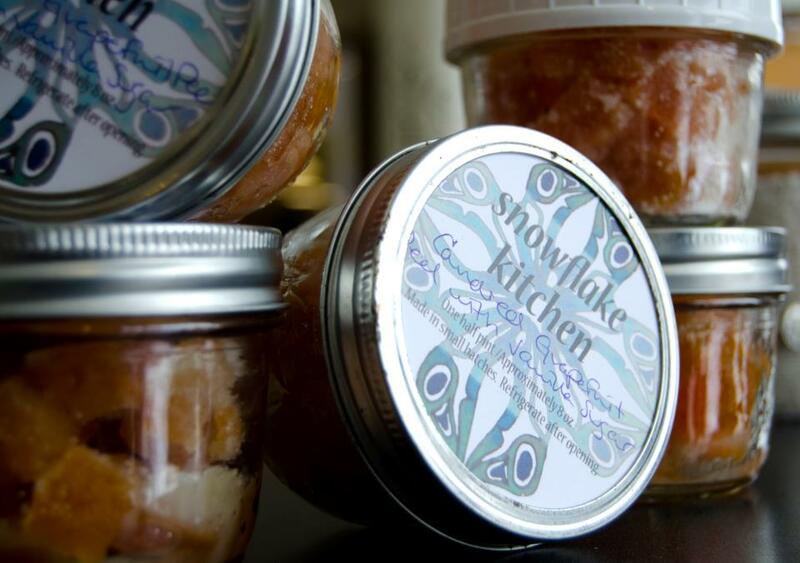 This entry was posted in double duty, pickles, preserving on May 27, 2013 by Kate @ Snowflake Kitchen. If you’ve been making double duty syrups and infusions for a while, no doubt you’ve been imbibing some homemade cocktail greatness. And while they can be spectacular (one Kate here, requesting rhubarbarita delivery, stat), sometimes they can fall a little flat. Bubbles are pretty great most of the time. Plastic bottle rotgut or top shelf artisanal spirits – depending on your mood, both have their place. Though, I still have yet to find a place for watered down light beer or jagermeister. Not even since during college. But it all can get kind of boring after a while. Nothing a little secret ingredient can’t fix. Want to take your cocktail nerd up to eleven? Bitters, my friend. Not just that funky bottle with the label torn off in the back of your Dad’s liquor cabinet. (No? Just mine? Ok then.) Homemade bitters are the secret ingredient that you can never figure out. The one thing that takes your drink over the top and makes it not just memorable, but elevates it to obsessive. So forgive me if this post finds itself a bit late in terms of seasonality, but good organic citrus can be found year round, even if the great stuff is more of a winter thing. Make it anyway. Your future cocktail nerd won’t regret it. First off, wash and peel your grapefruit. Supreme it if you want, and make Marisa’s Grapefruit Jam or AJ’s Preserved Grapefruit with Mint Sugar Syrup with the fruit. Or just dip it some vanilla sugar and scarf it – you’ll thank me later. Chop the rind into small pieces. Add the rest of the ingredients and top with a high-proof liquor. Everclear and vodka work just fine, but I was lucky enough to have Onyx Moonshine on hand. Surely you’ve heard of ‘shine – its unaged whiskey – and this particular spirit is particularly delicious. Onyx is a local product for me and business that I love, and just so happens to make great bitters. I highly suggest you seek it out for yourself. Long story short: peel your grapefruit, use the fruit elsewhere, add everything to a jar, top with Onyx, and wait. Start tasting after 3ish weeks or so. Unlike other bitters made with bitter herbs, this one takes a while to infuse. I was happy with mine after a month, but yours may need to age for a longer or shorter amount of time. Add a tablespoon or so, and taste. You can always add more. (Note: for true bitters made with bitter herbs, most recipes call for only a drop. 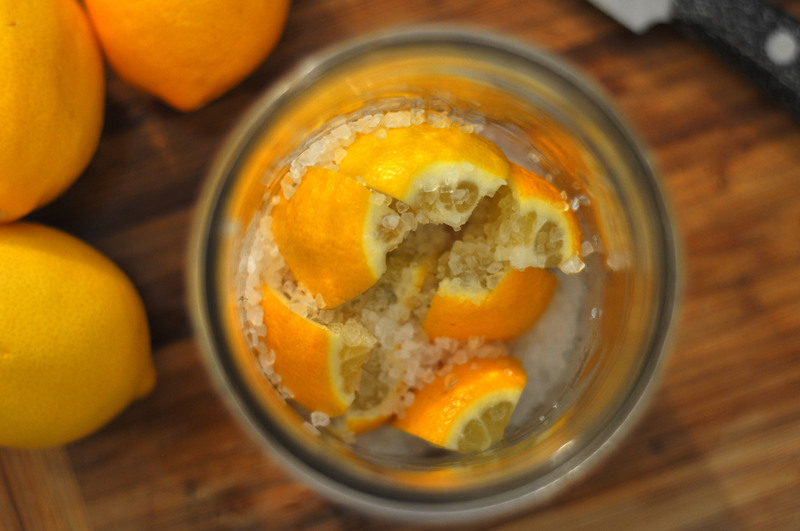 Citrus pith bitters are less intense, and you should add more volume to get the same bang for your buck). The grapefruit and vanilla play wonderfully with gin or St. Germain in a cocktail. PS: I also made a meyer lemon version with coriander, ginger, chile and bay leaf with the same method. It’s really great when mixed with Bulleit Rye Whiskey. Make that too. This entry was posted in bitters on May 4, 2013 by Kate @ Snowflake Kitchen. I think it happens unconsciously most of the time, but in general I like my food to reflect my spirit. When my heart is in the food that I make – I like to think that you can almost see the adjectives: Frugal. Simple with an unexpected twist. Local. Solid flavor. Tasty. At the same time, if you lined up recent eating: Passive-Aggressive. Broke. Unhealthy. Unplanned. Kind of depressing. Something is definitely up here. Like life re-evaluating. I don’t want to get into it too much, but on a food level, it speaks volumes. It’s almost like I had unconsciously planned for this. I had multiple soups in the freezer, some my own and some from our local foodswap, ready to go for when I woke up and lunch was the furthest thing from my mind. I had jam and pickles and cheese, and could throw a few things in my bag and not throw off my whole day or go out and spend more money I didn’t have. That’s really the heart of putting things in jars, isn’t it? Preparation for the future. I mean, the ability to have a gift at any given moment is nice, but I like to think not the primary reason. Maybe I’m naive. I planned ahead for when I couldn’t possibly have an appetite, but I also planned ahead with a few great distractions. Well – that’s not entirely true – I always have one or two major kitchen projects in the works. Though things didn’t work out for an order of beautiful Texas Ruby Reds, I did score some organic grapefruit at my coop. Salted grapefruit lime jam, a riff on Kaela’s Salted Cranberry Grapefruit Jam, while tasty came out far too cooked for my liking. There were some lovely grapefruit bitters and straight up segments, but far too much leftover rind. I figured if this idea didn’t work out, at least it would only cost me some sugar and time, so why not? I am so glad I did. And not just for the distraction. First and foremost – yes, you do need to spring for organic fruit here, as with any application that uses the rind of fruit. Take care to remove your peel – either by peeling the fruit or juicing. You need to accomplish two things: small, finger-sized pieces of peel that are completely without fruit and also have minimal pith. Do not make the peels too small here, you can always break into smaller pieces later. Some pith is, of course, fine – and I like that it makes the grapefruit peel not 100% sweet. That said – do take some of it off, and if you can take care to make it smooth it will help when the candied peels are air drying. Take your trimmed peels and cover with water in a saucepan. I like to use one that is about 4″ deep – enough for the peels to float plenty but not a huge pot, either. Add a half teaspoon of the salt, and bring to a boil. Boil for approximately 10 minutes, but be careful that it doesn’t boil over. Drain the peels, but take care – they are somewhat delicate. Repeat the process twice more, starting with fresh salted water each time. At this point, add the peels, granulated sugar and water into a clean pot. You are making a thin simple syrup that will gradually reduce into a thicker one while infusing the peel with sugar. Bring to a rolling boil and then reduce to a low boil. This step may take anywhere from 20 minutes to more – depending on your environment. You know the peels are done when they are translucent and the syrup is thick. While the syrup is reducing, set up your final station with a drying rack and bowl of vanilla sugar. It helps greatly to lightly both oil the rack (canola oil is great) and place parchment paper underneath to catch excess syrup. Once finished, transfer the peels to the drying rack. They really do need half an hour to dry – do not shortcut this step. You may cut them into smaller pieces once they have cooled, if needed. Toss with vanilla sugar and continue to dry on the rack overnight. You may have to turn them several times and/or toss again in the sugar. Once sufficiently dry (it may take longer than you expect), store in a bowl or jar. If you put the peel in a jar and it re-liquifies, it needs more drying time. A lovely byproduct of the above recipe. Simply strain the leftover syrup, bottle, and use at will. Because it results from sugar, water, zest and pith, this syrup has a decent bitter note. Added to seltzer it makes a great grapefruit soda – one that isn’t too sweet like some off-the-shelf grapefruit beverages. Added to either gin or tequila, it also is a fabulous base for a paloma or margarita. I’m sure you could can it, but I prefer to use this syrup fresh. This entry was posted in double duty, infusions + syrups, preserving on March 1, 2013 by Kate @ Snowflake Kitchen. Preserved Lemons have a few different aliases: you may know them as lemon pickle or lemon confit (though I tend to think of lemon confit as something else entirely). Whatever you call them, making at least one jar of these has become a favorite yearly tradition of mine, using some of Karen’s wonderful meyers. I love the yearly splurge so – no other time of the year is it more appreciated and so needed. February is tough – the cold around here really starts to get old, record-breaking snowfall wears you out and your bones themselves begin to crave spring. Warm sunny says seem so long ago they become the stuff of legend. Luckily, meyer lemons cure all ills. And preserving them in salt captures their brightness for year-round use. I make a different batch each year. The first year I made them, I used equal parts pimentón and cayenne. They were nothing if not LOUD. 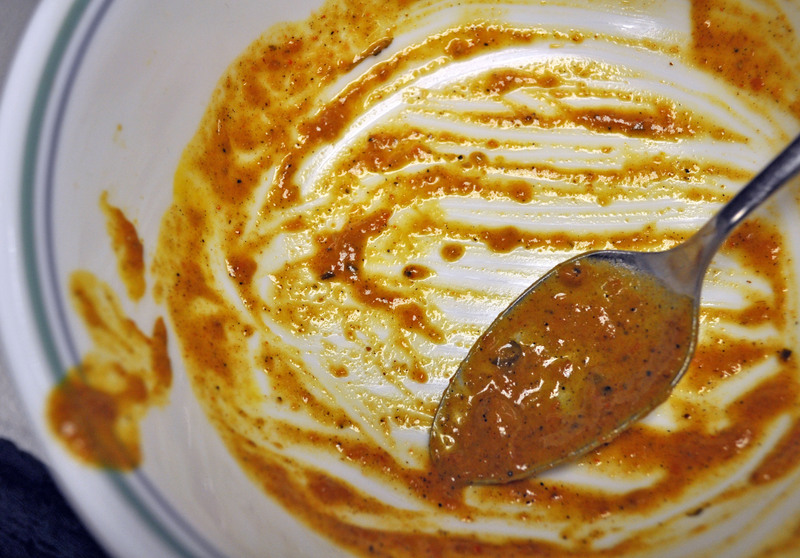 The flavor mellowed towards the end of the jar, but in 2012, I veered in a different direction and used curry spices – cardamom, black pepper, cinnamon, coriander and cumin seeds. A nice change, but I find myself longing for some heat. Some – in no way shape or form am I anywhere close to becoming a chile head, but I do find myself appreciating some lower-end Scoville units in my preserved lemons. This year, I went with aleppo pepper. It’s recent arrival bought from a new year spice binge from Whole Spice (PS: they might be having a 30% off sale right now – use the code “spice.” I’m sorry for your wallet/You’re welcome.) I find myself reaching for it when I want to add some subtle heat to savory dishes. Nothing could ever replace the pimentón I remain practically wedded to, but aleppo chiles bring something else the to table. The more I find myself drawn to it, the more I find my thoughts with the city that shares its name. As this batch lasts through the year, I hope by the time I finish it some peace has come to Syria. Remove both ends of your lemons and quarter them, reserving any juice. Take a wide mouth quart jar and cover the bottom with salt. Mix the remainder of salt with the aleppo and black pepper. Tilt the jar at an angle, careful not to spill any salt, an add quartered lemon slices in one even layer. 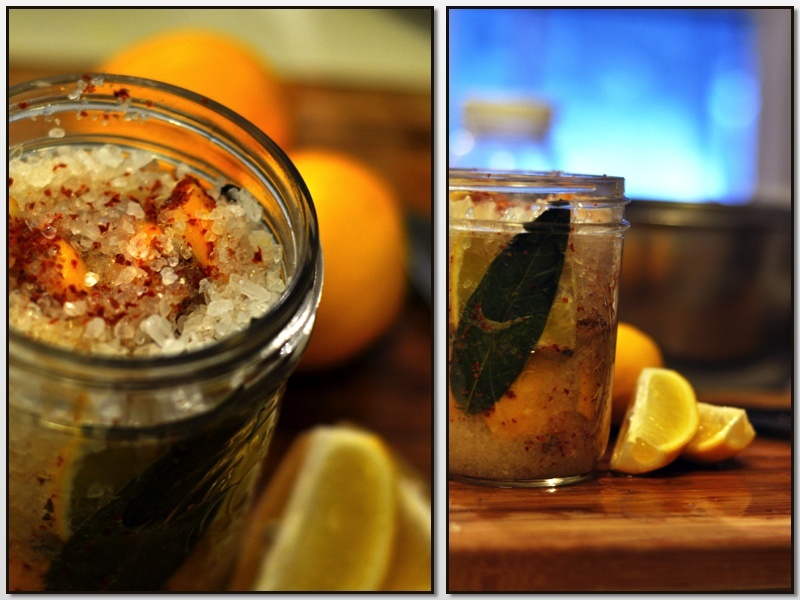 Tuck your bay leaves on each side, between the lemons and the edge of the jar. Add enough peppered salt to cover, and then add another layer of lemons. Repeat until you are almost out of room in the jar. Top with the remaining salt and reserved lemon juice. Shake on your counter about once a day for a week or so, and then place in a darker spot in your pantry. To use, strip off the lemon flesh and discard. Chop the peel and add to soup, tagines or even preserves. This entry was posted in preserving on February 15, 2013 by Kate @ Snowflake Kitchen. In case you’ve been living under a rock, the Northeast got hit with a record-making blizzard last weekend. Connecticut in particular, won the highest snow totals – the New Haven area received 40 inches. Won being a relative term. Yes, I know this is SNOWFLAKE Kitchen… but even I don’t know a single person in this universe that is happy to clean up after a 40 inch storm. Or 35 inches or however much my ‘hood actually got. It was pretty impossible to tell with the wind and drifting. I do know that I spent way too much time dually glued to the Connecticut Light and Power outage map and our Governor’s Twitter feed – which seems to become my m.o. for dealing with these ever-more-frequent natural disasters. And only because we were fortunate enough to keep our power. All of my loved ones stayed lit and warm this storm, but many Nutmeggers spent a cold, cold night in the dark in the howling wind. Oh well, climate change is just a theory, right? Moving on. Despite the cleanup, it was gorgeous outside. For a while, anyway. 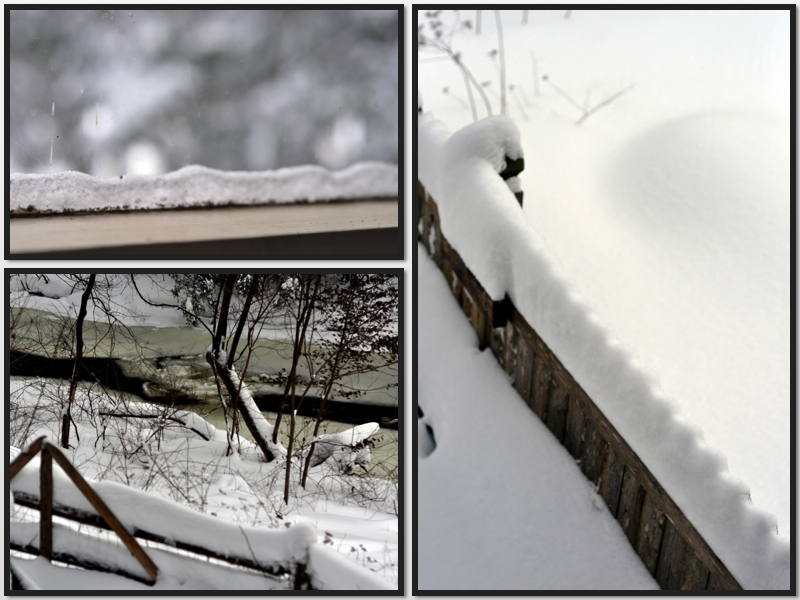 And as I reflect on it, the more I realize there is an art to getting snowed in. Part cliché, part doomsday prepper – anyone can hoard stuff. So why is it that when there is a forecast of impending doom, most people rush to the store to buy eggs, bread and milk? I never understood that. What are you going to make, endless french toast? While there used be forced inspiration in chest freezer triage, admittedly, our storm prep has changed quite a bit with the acquisition of a generator. We always buy plenty of things to eat and it doesn’t matter too much about its shelf-stability. But oftentimes, you find yourself stuck inside with plenty to eat, but no fun food. A friend said it best this week – when you are snowed in you don’t want the same old thing to munch on with your newly purchased booze. (What – isn’t the first stop on everyone’s storm prep list the liquor store? I thought that one went without saying. Ahem.) I cooked half a package of Terra Firma Farm bacon Saturday morning – part of a late brunch to say THANKYOUTHANKYOUTHANKYOU to my guy for beginning the long process of shoveling us out. Still – half a package for two people = leftovers. And wanting something warm, comforting and fun while Nemo or Charlotte or whatever-its-name-was raged outside. I looked in the fridge and after surveying all of the options, wanted none of them. My careful storm prep and planned meals aside – it was time for something different. 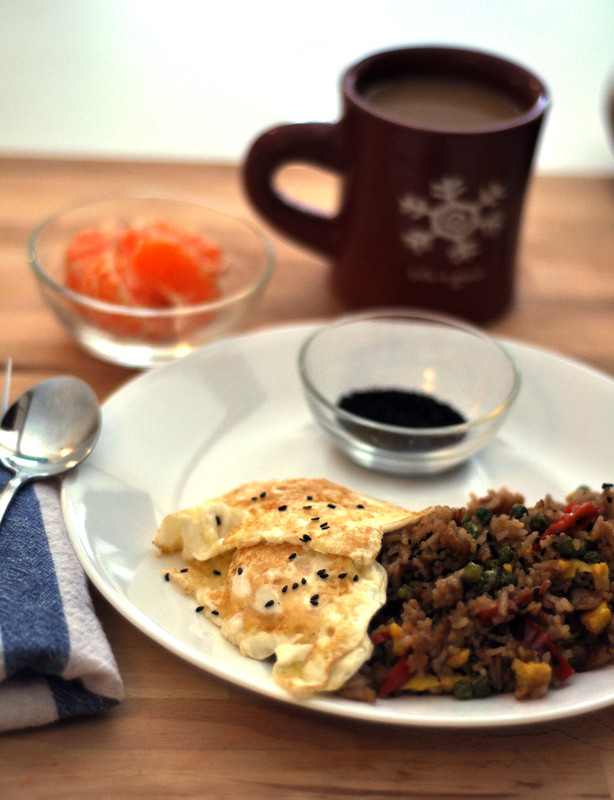 And I daresay no one would call bacon fried rice unfun, especially during Mardi Gras season. Laissez les bacon temps rouler! First and foremost – mise en place. This recipe comes together quickly. Place a large heavy-bottomed skillet over medium-high heat. In another small non-stick skillet, add your scrambled eggs. Do not stir – your goal is to make an egg pancake. Flip if necessary. Once solid, chop into small chunks and set aside. In the large skillet, add the oils and once shimmering, throw in the peas and bell pepper. Add the garlic to the peas and pepper and cook for a minute, then add the rice to your vegetables. Quickly realize the fridge has dried out your takeout rice, stand back and add the half cup of water. Top steaming skillet with a lid and let the rice steam for a minute or so. Throw in chopped bacon and egg. You may need to add a little more oil to get the rice to fry – err on the side of less sesame oil. Fry to the texture of your liking and top with toasted sesame seeds. There are definite modifications to be made depending on what you have on hand and – full disclosure – how much you care. 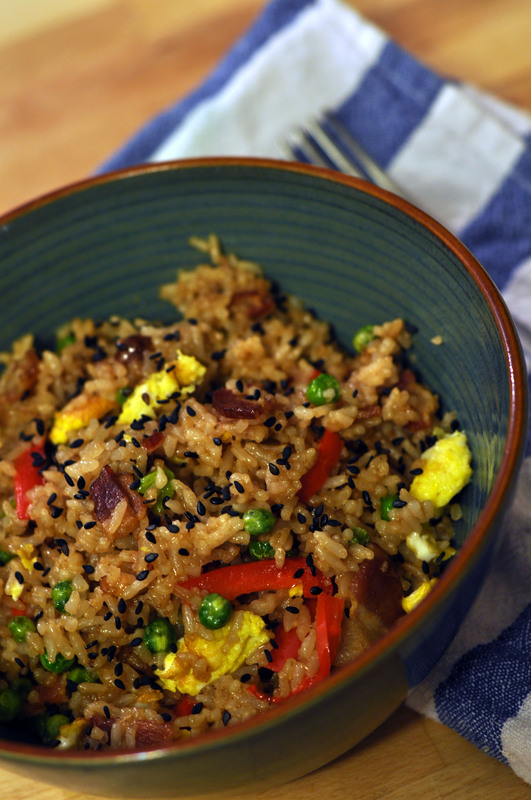 Fried rice is about making something delicious out of leftovers. Make it your own. And definitely make enough for breakfast the next day. This entry was posted in recipes on February 12, 2013 by Kate @ Snowflake Kitchen. Like most people, J and I are trying to make informed choices to start off 2013. Move more. (Hooray desk jobs!) Spend deliberately. (Age old needs vs. wants, but also save and prioritize now that we both have stable jobs – for the moment, anyway. Ah, adulthood.) Eat smartly. (More fruit & veg, cook new things, eat out of our pantry). So – you know – the goals of probably 90% of us this time of year. I have always loved Indian food. My hometown had just one Indian restaurant – nestled on the edge of town sharing space with a motel. It had at least three names that I can remember (and I assume just as many owners) – but it always had a Sunday fixed price buffet. It became a regular tradition to head out there after church (or – true confession – during “church!”) where we would nothing short of gorge ourselves on biriyani, samosas, pakora, and anything else that made it out to the buffet table. And I was hooked. To this day – if the budget allows, I will always go for Indian when given the choice. And that’s a big if. While I sort of live in the boonies, I do have more than one takeout choice for my comforting curries and naan. But that said – takeout or eat in, its always at minimum $30 for two people. Not the least expensive option around. So in the spirit of the new year, when the latest craving hit, I started researching recipes. I found one that not only was fairly healthy, but would also please my picky eater better half. And – I had almost all of the ingredients already on hand. You’ve got the spices, chicken, herbs and pantry essentials ready to go in addition to that multipurpose tomato puree you put up in September, right? Right. If you have a reasonably well-stocked pantry – you should only have to go out for some cream. Yes, CREAM. Given there is an overwhelming half a cup in a recipe that served two of us for dinner in addition to two leftover lunches, I think it can still be considered a healthy recipe. Pull your chicken out of the chest freezer and thaw in the fridge overnight. You can marinate the chicken in spices if you wish, but I noticed no flavor difference when I made this all at once after work. Dredge the chicken in flour and then sear in a skillet – in batches if necessary. At the same time, melt your cilantro cubes in a heavy bottomed pot or dutch oven. What? You have no cilantro cubes in oil? Seriously – I saw that post EVERYWHERE this summer. If you still have fresh herbs on your windowsill this time of year – of course use those, but add them at the very end. I add the frozen cilantro in oil at the beginning of this recipe to make use of the oil – otherwise adding it at the end would be too much. No cilantro at all? No sense in buying one of those terrible plastic packets at the store – just add extra coriander or omit – up to you. Once the oil has melted, add your ginger, garlic, and onion. Once they have browned a bit, add all of the spices. The goal is to toast and brown the mix to give it flavor. While you can toast your spices and then add them, I find it easier to take an extra few minutes to brown them in the same pot. Add chicken once the spices are fragrant. If it looks too oily, add another tablespoon of flour and cook for another minute. Empty in a pint of roasted tomato puree and simmer for 10-15 minutes. Just before you are ready to eat, stir in the cream and simmer for another few minutes. 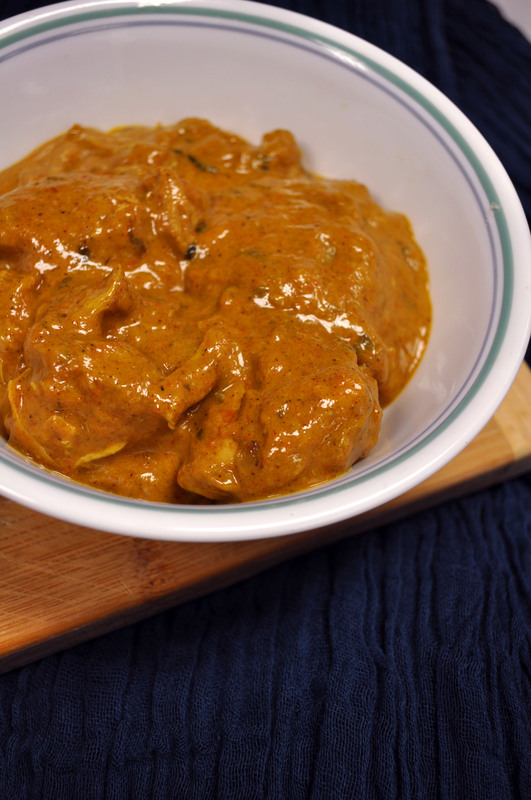 Serve with rice, homemade naan & aloo gobi, and enjoy a quick departure from your normal routine. Here’s to 2013. This entry was posted in preserving, recipes on January 11, 2013 by Kate @ Snowflake Kitchen. And here I said I was going to be around more and December 2012 went and sucked the words right out of me. Well, that and the wretched cold I’ve picked up. Picked up, as in I left for work this morning perfectly healthy – if a little grumpy to be heading back to the office – and a few hours later I had the worst sinus headache, runny nose and all around fogginess in recent memory. Or long term memory – I am almost never sick. Even stranger, I came home and feel worlds better than hours ago at work – no medicine of any kind. Clearly I am allergic to work and I should never have to go back. Fine by me, as long as they keep up that direct deposit thing. Maybe it’s just life telling me to slow down, have a cup of something strong and hot, and take some vitamin C. I definitely have that last one down – as I seem to be going through a crate of clementines a week – and it would be faster than that if I weren’t rationing them a bit. 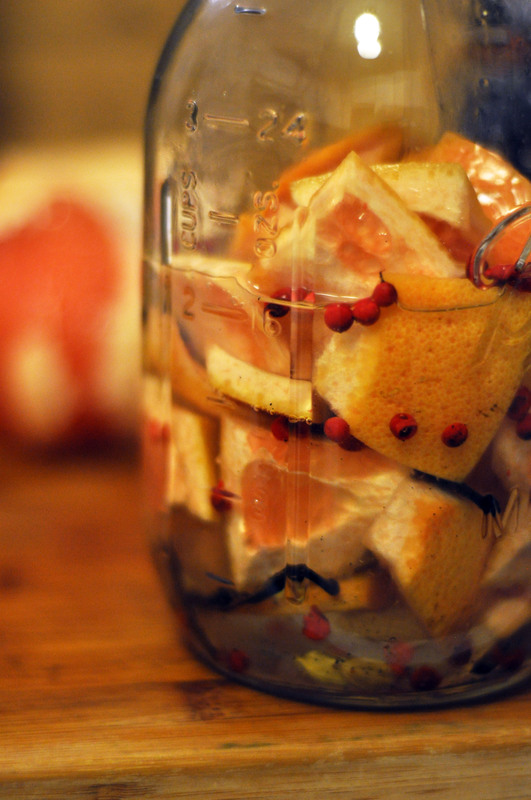 Some winter citrus, a little bourbon – just what the doctor ordered. I usually add the bourbon first, after I’ve put the kettle on. How sick are you feeling? Is this preventative? Is it all in your head? One ounce, then. *cough cough* A little more under the weather? Top it off a bit. I like bourbon (clearly, as you’ve noticed, dear readers) but almost any liquor of choice will do. Spiced rum, whiskey, applejack, even tequila and gin all have toddy versions. Go with what you like. I throw in the lemon and ginger together and then drizzle honey over them both. For efficiency’s sake – pour the hot water over your honeyed spoon so you can have clean utensils ready to go for round two. Cause let’s face it – you’re going to need a second. 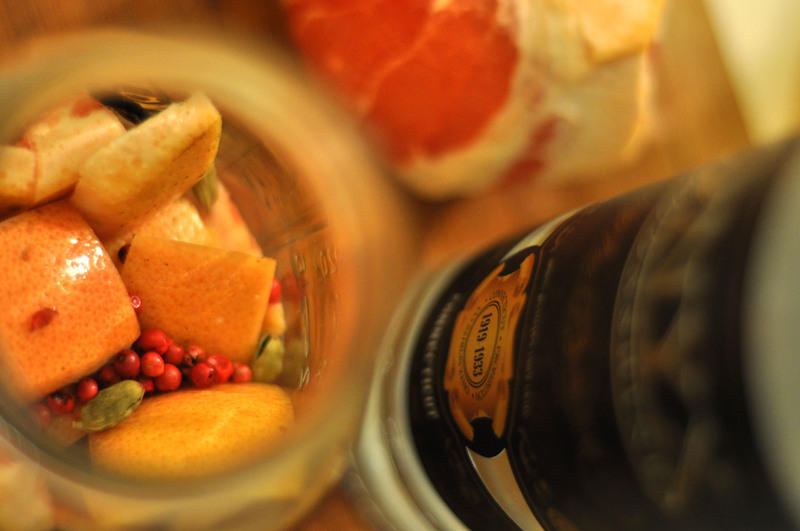 Mix up the spices, citrus and booze. Stick with the heat and ginger, though – for the, uh, medicinal qualities of course. I’m already planning new versions – grapefruit, gin and maple syrup. Applejack and cardamom with dark buckwheat honey. Not into the liquor? Add your favorite tea instead. Truth be told – I don’t care if it’s entirely the placebo effect – one or two of these sets me right as rain every time. Happy 2013 indeed. PS: If anyone has any other sinus headache tips or thoughts on how to do that whole stay home and still get paid thing, I am all ears. This entry was posted in cocktails on January 2, 2013 by Kate @ Snowflake Kitchen. After the last three months, its pretty safe to say the word Sandy will forever make me cringe. No one knows what to say after a day like Friday. I am still trying to get my head around it, and I think I never will, really. I grew up 20 miles from Sandy Hook Elementary, and my parents still live there. Newtown is very much like the communities that surround it – small town, close-knit, everyone knows everyone. My mom works in my hometown’s insurance agency, and whenever we talk on the phone she always fills me in on the local gossip. Did you hear so-and-so is getting married? I talked to [lawyer you used to work for] the other day – he asked about you. Town came to a standstill today when someone backed over the stone wall in front of the post office. It’s New England though – so even though everyone sort of knows everyone else’s business, we all sort of keep to ourselves. It seems, though, that these days, as we grieve as a community, we find out that we really do share the important things. The national news shouldn’t be reporting from Danbury Hospital, but they are. Danbury effing Hospital – where only last year my dad was treated for a heart attack and almost 21 years ago where my brother was born. And now the freaking Westboro Baptist Church – yes, those insatiable asshats – are taking it upon themselves to roll into town parading their ignorance and hate speech. It seems that all I can manage is to clutch a mug of something warm and stare out the window shaking my head. You see: this kind of thing shouldn’t happen at all, but it just. doesn’t. happen. here. The weather today reflects my mood: cold, cloudy, intermittent wintry mix. I’m having trouble smiling. I’m having trouble thinking of anything else. Going through the motions doesn’t begin to describe. I’m not a parent, and I grieve. I’m not a teacher, and I grieve. I suppose I grieve as a Connecticut native. And I grieve with the world for my state and the region where I grew up. This entry was posted in Uncategorized on December 16, 2012 by Kate @ Snowflake Kitchen.